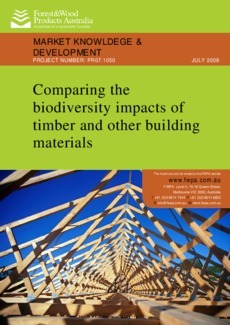 The sustainability requirements of building codes in Australia and other countries are becoming increasingly stringent. To date, legislated requirements in Australia have largely been restricted to the operational energy used in buildings and water use efficiency. However, it is likely that the Building Code of Australia (BCA) will address other environmental concerns in the future and that life cycle assessment (LCA) methodologies will play a prominent role in shaping regulations applying to Australian buildings (DEH 2006).